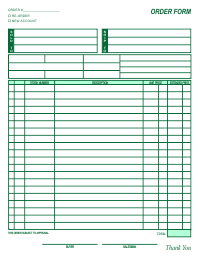 Order form templates are available in Corel Draw, Word, Publisher, PDF and InDesign formats in several colors and styles. 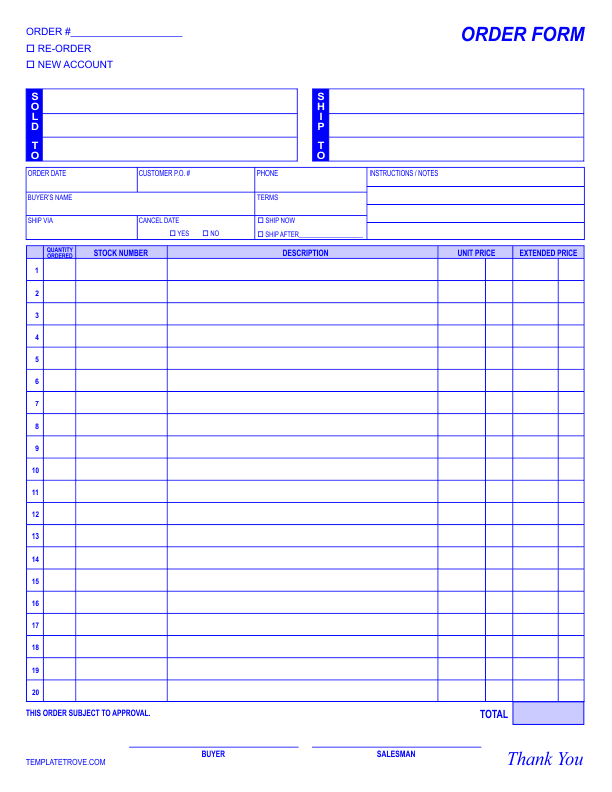 The templates print one-up on standard letter size stock. Finished size is 8 1/2" x 11", available in five colors. You can edit fonts, colors and wording to fit your needs.